Qualideck was recently installed at Pearson International Airport in Toronto Canada, during chilly 41 degree F temperatures. The surface cured in record time and was walkable overnight! 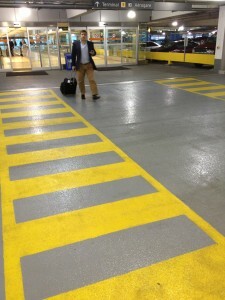 See the picture below of our Qualideck coating in Grey and the new Safety Yellow!